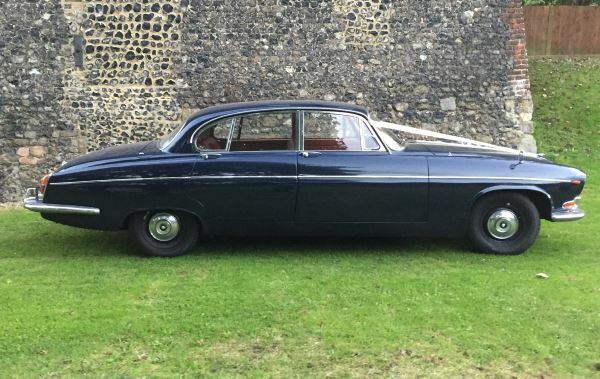 Jerry is our beloved 1969 Jaguar Mk 10 420G, resplendent in midnight blue paint and red leather interior. 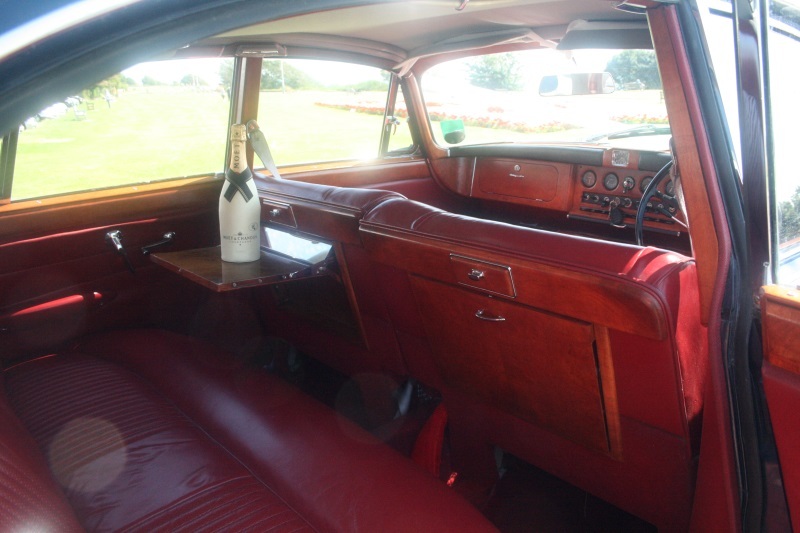 Boasting a cavernous interior, with long leather bench seating in the back and fold down tables, Jerry gets admiring glances wherever he goes. 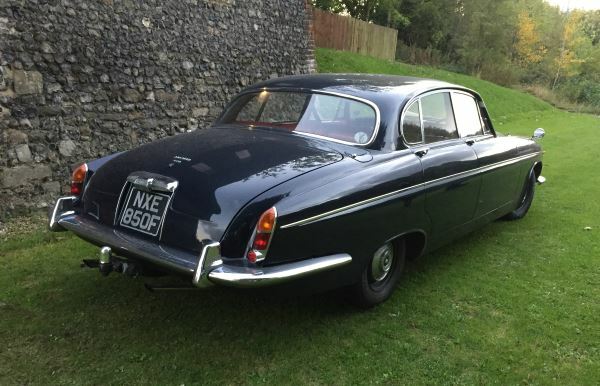 The Mark 10/420G’s were the bigger brothers of the Mark 2 Jaguars made famous by “Morse”, with more power and larger cabin space. 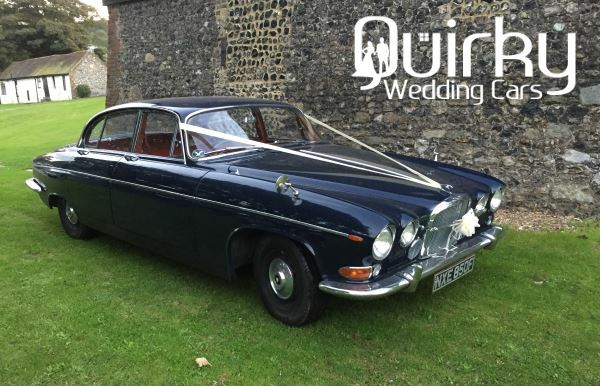 Often referred to as the last of the “Battleship Jaguars” these cars are perfectly suited to wedding car service, thanks to their smooth engines, automatic transmissions, spacious interiors and 4 doors. The back seat sits up to 3 comfortably, the chrome and midnight blue paintwork turn heads wherever he goes and the jaguar badge oozes style and sophistication. Wherever Jerry goes, he also carries his emergency wedding kit, which includes mints, safety pins, hair ties and baby wipes! IIf you would like to check availability or receive a no obligation quotation please send us some brief details of your requirements either via our live chat tool in the bottom right of this page, call us on 07932 970154 or use our contact form below. Alternatively, if you would like a quote for any of our other cars, please use our main quotation request page.